A Joshua Tree (Yucca brevifolia) grows in the Mojave Desert near Jumbo Rocks Campground at Joshua Tree National Park, Calif., Thursday, February 24, 2011. 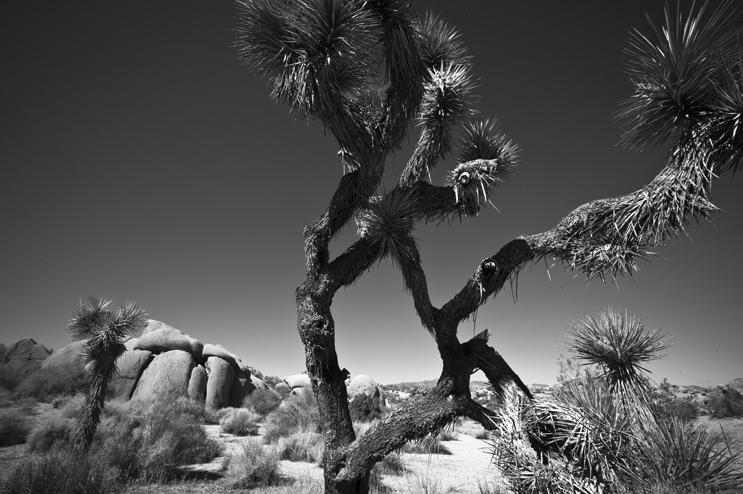 The name Joshua tree was given by a group of Mormon settlers who crossed the Mojave Desert in the mid-19th century. The tree’s unique shape reminded them of a Biblical story in which Joshua reaches his hands up to the sky in prayer.